I would be able to finally be able to use a computer. Between my husband & the kids I never get any time on it. I would give it to my daughter who starts college in the fall. The ereader would be great while we’re travelling. My medical practice is going electronic and this would be a huge upgrade over the basic laptops we are going with to start. Very cool!!! 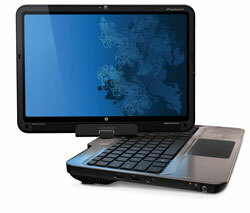 If I won the HP TouchSmart, I would use it to design my lesson plans and graphic organizers I would use in my classroom. It would certainly give me more flexibility than using a word processing program! I may also gift it to my son for his high school graduation. He’s achieved so much that this gift would be a fitting reward. I would give it to my wife for Mother’s Day! She manages to also be a full time student and work. Not sure how she does it but I am certain this would help her in her studies! I’m a subber… great prize, thank you !!! This would be a great Mothers Day present for me. I would use it for EVERYTHING ! Would be very useful for digital photography. I would use this to help load my pictures of my kids and family. I would be able to watch tv with my family and not have my back to them all the time. this is an awesome there are a 1000 uses. I would love to give this to my son who is going on to school after high school this year! If I win, I would tell my children THIS is what they got me for Mother’s Day. I would give it to my dad because he’s always wanted one but won’t buy it for himself. I have had the same computer since 2004. Our very first computer was a 1998 HP and we used that until it turned upside down and died. (that was when I got the current one) It was then we realize just what kind of computers HP made-reliable and dependable. I would use this for everything. My husband has a small business, it would be used for that-I prefer desktops due to medical reasons and this would be a dream come true.My computer is my link to the outside world, and wouldnt it be nice to reach out and touch the world…. I subscribed and am also following you on twitter. Thanks so much for a chance at a dream! I would love to win this awesome giveaway!! I get connected to my mom, who is 9000 miles away from me through computer , if I win this I would consider myself very lucky and feel that I and my dear Mom both have won a great link to get connected more n more This mother’s day would be special for us Thanks for such a great giveaway!! I signed up for the newsletter! This would be awesome for the hours I spend at our artist coop. I could sketch, read, e-mail, etc. when there are no customers in the gallery. Thanks for the chance to win! The Corel Paint it software and works 9.0 are way awesome, would be so much fun useing the sketch pad and then the paint it afterwords, you could design some pretty cool stuff, let your imagination run crazy, the touch pad would be cool to try as I have never tried it before. Thanks for a chance to win aa great product! I’m a new subscriber. I’d love to carry this with me around the house and in my bag to stay connected at all times without having to use a small phone or large pricey laptop. I’m not sure what I would use it for at this point. I am a subscriber, and would love to give this to my wife, so we both could have computers. I would give the TouchSmart Tablet to my Mother for Mother’s Day! I was just telling her about HP’s TouchSmart technology, two weeks ago. She is 67 years old, and she is an avid computer user. Her current computer is a 6 or 7 year old Dell that is out-of-touch! That is what I would do if I won. I would use it as a reader and to keep up on my email away from home. I’d also use the sketch feature. I would use it for work. As a professor, this would be perfect to use in the classroom. I’d use it while in the kitchen to look up recipes. What an awesome feature. I subscribed. I would use this to replace the old daytimer for schedules and stuff. I need the computer to enter more great giveaways like this. i have two boys who desperately need their own computer. I would use it as a fun way to do research for daily living. I would use it to get better at my artwork by using the tablet. I’ve been wanting a tablet to use with MS onenote 2010 and windows 7. If you haven’t tried onenote is sweet. I would give this to my brother. He is such a good man and always been there for me . He could never afford something like this. He would use this to become more inteligent by learning on and from it. Maybe he could start something good with it. I need a new PC. this one looks cool! We are moving aboard our boat to save $$....I would use it as an ebook reader for our home education classes. This would be great for drawing!